A WOMAN has been banned from driving for a year after she refused to allow police officers to breathalyse her. The officers had received a report that her car was being driven badly in Worthing on the afternoon of January 1, 2014, during the Sussex Police Christmas crackdown on drink and drug-driving. When they found the vehicle it was parked in a driveway in Marine Crescent but there was no one in the driving seat. Alexandra Capone was in a garden nearby so officers asked her to provide a specimen of breath because they suspected she could have been drink-driving. 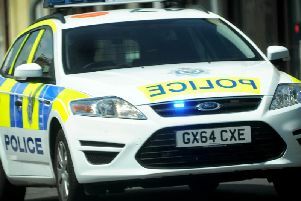 The 40-year-old, of Marine Parade, Worthing, refused to be breathalysed so was arrested. She was convicted of failing to supply a specimen for analysis when she appeared in court. A total of 136 people have been convicted of offences as part of the Christmas 2013 crackdown. A further four are still going through the courts.